Because paying twice for the same things always makes more sense. "First rule in government spending: Why build one when you can have two at twice the price?" - S.R. Hadden (John Hurt) "Contact"
I’m going to throw out a few hypothetical questions to the readers here at RM, and I’d like to get your candid response. How many of you have put gas in your vehicle recently? Paid the attendant. Pumped your gas. And then gone right back inside to pay the attendant again? What about the last time that you went out to eat? After getting the bill, do you pay the wait staff and then get right back in line to pay them again? How about this? The last time that you have gone out shopping (it doesn’t matter where…grocery store, sporting goods, electronics store), have you taken your purchase up to the register, paid the cashier and then got back at the end of the line to pay them again? I’m going to don my Carnac headdress & cape, place an envelope next to my forehead and make a stunning prediction that the answer is a resounding “no” to each and every question above. 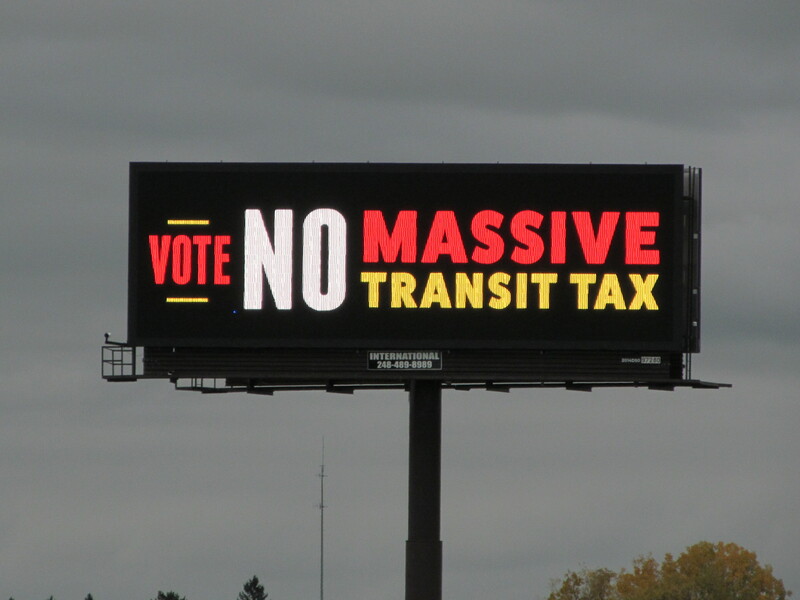 Well, that exactly what those promoting next week’s Rapid Transit Authority (RTA) tax are hoping from you at the ballot box! In what being touted as (yet) another solution to the Tri County’s transit “problem”, on the surface is merely repackaging everything that those of us living in the area are already paying for. On the top of the list; RTA backers are claiming that we’ll be seeing improved bus service. 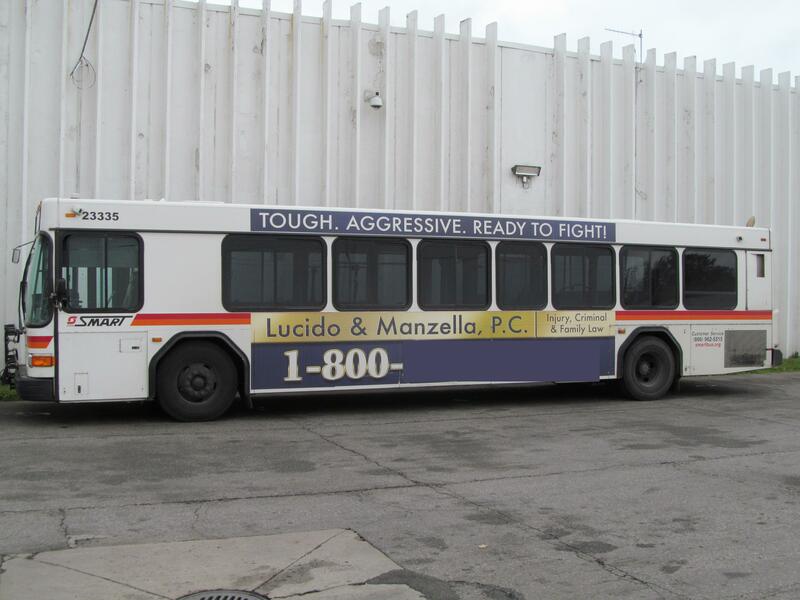 Will we be seeing more empty buses similar to this one driving around town? Feel free to click on image to enlarge and take in all of the emptiness. I’m not sure if they have noticed, but we are already paying for a bus service service. Two actually. They’re called SMART & DDOT. As a matter of fact, we recently just got hit up for a SMART tax hike not even two years ago. DDOT has been in existence for almost 100 years. SMART not so much. The RTA people like to promise a lot, but I’ve yet to hear the part about where RTA proponents intend to address how they will succeed where others who ran mass transit have failed…and failed often. Next on their list of reasons to support their tax; rail service from Ann Arbor to Detroit. Hmmmm, lessee here. Let me get out the handy-dandy Yellow Book on this one. Would you look at that? There is already an AMTRAK line that runs from A^2 to The “D” (Wolverine Line). Yeah, well we’ve already seen how well that has worked out with the People Mover, Downtown Trolley and the fact that the newest lines have been built over areas that previously contained track from the old rail system before it was torn out over 50 years earlier. Strike four is the depths that RTA tax supporters are willing to go to, more specifically, using the handicapped as stage props in order to engender sympathy from the public. I’ll venture that most of you living in the area have seen this TV ad multiple times already. Not only has the content been debunked by the good people over at the Mackinac Center, but I’m going to pile on that one just for good measure! Numerous municipalities in Macomb County also offer that very same service (that we are ALREADY paying for via the SMART millage) here, here and here. Making matters worse (for RTA tax supporters) do you think that the likes of Mr. Hillegonds, Ms. Smith or Mr. Gaffney have the wherewithal to personally practice what they preach? I’m going wrap this up by passing along three interesting tidbits that I was made aware of this weekend just to demonstrate that it isn’t just the presidential race which threw out all of the rules this year. The first has to do with those in support of this new tax. Sure, you’ve got the various Chambers of Commerce (more on them one in a minute), MOSES & TRU. But did you know that the local cultural institutions are also getting in the act? And no, this letter isn’t available if you do a search on their website. Apparently it was only sent to museum members and is being hidden from the public at large (backup link to letter when the one above gets pulled)..
Not only does he sit on the Henry Ford Board, but I know that HE would never have anything to do with this little shakedown. Look, don’t get me wrong, I like visiting the Henry Ford. If you like Americana and haven’t already done so, I’d highly recommending checking it out. But, I don’t like the fact that a board member is apparently using his influence (again) on an issue where they have no vested interest in getting involved whatsoever. The second interesting bit is who is throwing their support AGAINST it. I’m sure that those of you living in the Detroit Area have seen these around town. But have you seen these? No, not the one on the left. They are very heavily visible in southern Macomb County. Specifically in the Warren, Roseville, Eastpointe and Saint Clair Shores area. Here’s where things get even more interesting…those signs aren’t being distributed by the NoMassiveTransitTax.org people. Word on the street is that the committee behind it has been advised and signs distributed by local Democrats (and I’m not talking PD-level Democrats, either), who are heavily doing the door-to-door thing with potential voters and successfully pushing against it with amazing results. Now, why is that you may ask? Remember where I mentioned earlier the local CoC pushing this tax? Want to know WHY they are pushing for it (and not simply paying for it out of their own pockets), if this is such a viable proposal? 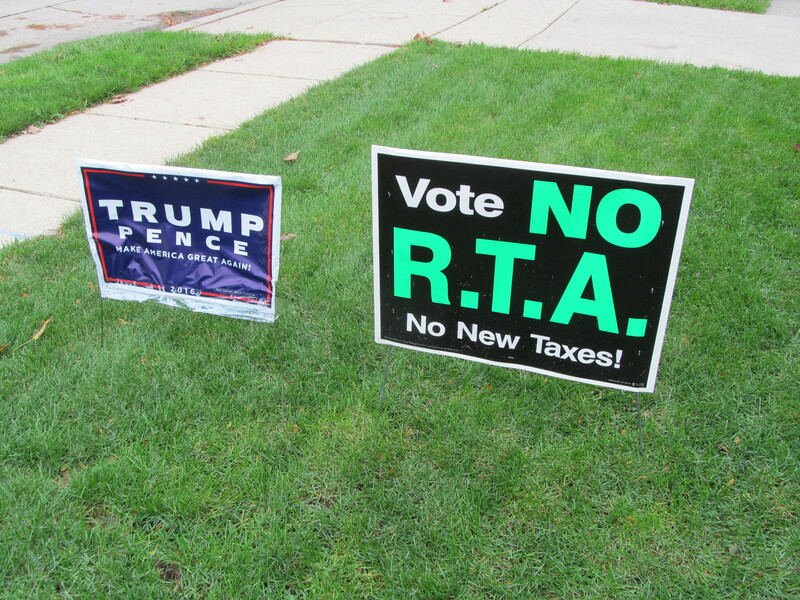 Crain’s Detroit inadvertently let that cat out of the bag a few weeks ago regarding HOW the RTA tax got onto the ballot. Funding raised from the RTA tax is slated to go towards the M-1 Rail/Q-Line. As I mentioned above, the local CoC are pushing for it, as are those with a substantial amount of $$$ invested in Downtown Detroit. 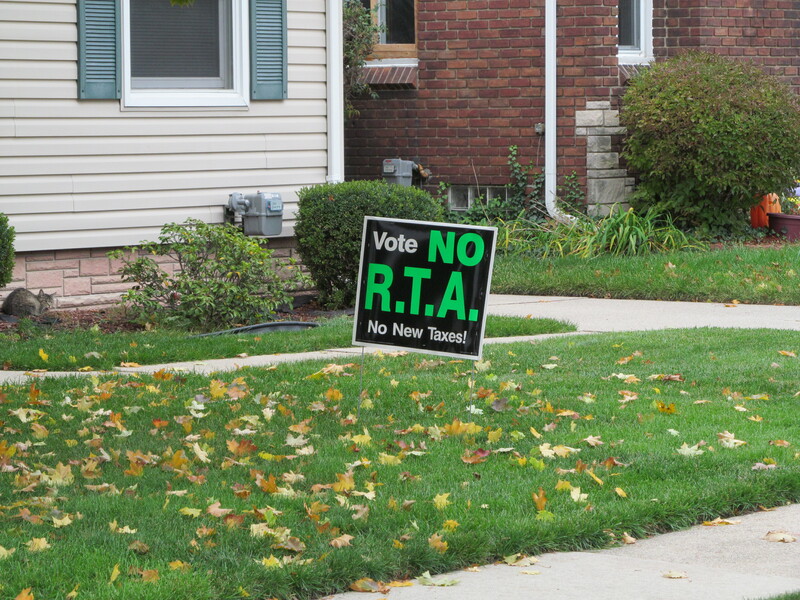 Crain’s did a piece regarding a “what if” scenario, specifically what if the RTA tax failed. Near the bottom of that piece, they quoted Prof. Scott Anderson who was one of those behind the RTA proposal. “The option of turning back to the major corporate donors who already have spent millions on M-1 isn’t a particularly desirable one. Hmmmmm, so Penske and his pals are just using Tri-County Taxpayers to fund their little endeavor. The Democrats like crony capitalism just as much as the rest of us here. It’s no wonder why they are having an such easy time convincing voters to vote “no” on this tax. And one more thing to keep in mind when you go to vote next Tuesday. I have often said (and will continue to do so), that if you need the taxpayer subsidy for your business to survive, you have a bad business plan. If you don't need the subsidy, but take it anyway, that it is stealing. Motown CoC is full of both, but the thievery is thick.